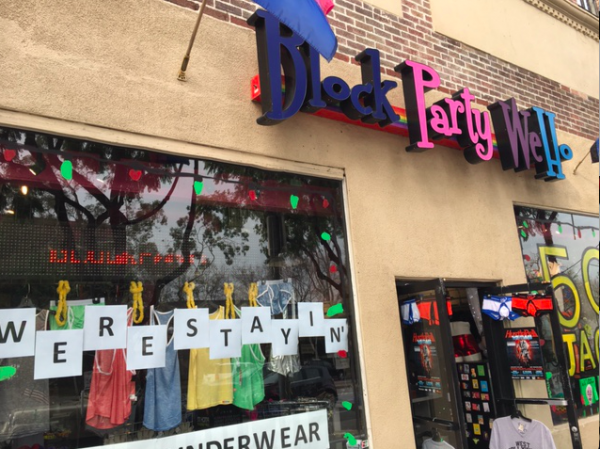 The Block Party, with a sign in its window in 2016 announcing that it isn’t closing. Larry Block, owner of The Block Party, confirmed today that he will be closing the store after Chris Miller, owner of the adjacent Revolver bar, obtains the permits and approvals he needs to expand into The Block Party space. The Block Party, located at 8853 Santa Monica Blvd., has become somewhat of an icon in West Hollywood’s Boystown gay nightlife district. Open until 2 a.m., the store attracts both gay men and heterosexual customers with its wide variety of apparel, including somewhat risqué men’s underwear, as well as cigarettes and “poppers,” which are small vials of alkyl nitrite used by gay men to enhance sexual pleasure. Block opened The Block Party in October 2009, replacing A Different Light, the famous LGBT bookstore, which opened its West Hollywood location in 1990 and closed in January 2009. Block announced in 2015 that his lease had expired and would not be renewed, which spurred another in a continuing series of debates about changes in the Boystown area and whether it will survive as a gay-centric nightlife and shopping district. However in January 2016, Block announced that his landlord had renewed his lease. This time Block said he negotiated with his landlord in an effort to stay in the current location. But Miller, he said, has a right of first refusal to lease the space when Block’s contract expired, which it will do at the end of this month. Block said his store has become very successful recently, generating revenue of over $1 million a year, up substantially from only $500,000 a year a few years ago. Block said he is not in a hurry to leave. “I will stay as long as Chris allows us to stay there,” he said. “I’m mitigating his expenses while he spends time getting his permits.” Block said he expects that will be in June of next year. While Block told WEHOville that he fantasizes about retiring to the desert as he approached the age of 59, he also conceded that he has his eye on the Circus of Books. Circus of Books, another gay community icon, is at the southwest corner of Santa Monica Boulevard and La Jolla. The store sells books and magazines and adult videos aimed at gay men and became famous decades ago as a place where gay men could cruise one another. In March 2016, Karen and Barry Mason, its owners for more than 30 years, said they were considering closing the store. Block said he also is looking at retail space in Palm Springs and also at a space near the former Aaardvarks vintage clothing store at 7579 Melrose Ave.
Block said his first choice Circus of Books, which he envisions turning into a version of his Block Party clothing store and adding a coffee bar. Block said the Masons have talked with him but haven’t reached a deal. Chris Miller said that moving into The Block Party space would not greatly expand the area for Revolver’s customers because he will have to move the existing downstairs bathrooms at Revolver to the main floor to make them ADA compliant. However, Miller said, it will allow him to nearly double the outdoor patio space. Miller said that is fine with him because he doesn’t want “to lose the great allure of this atmosphere” of Revolver. Revolver, which takes its name from its revolving door, initially opened in 1982, embracing the video bar craze fostered by MTV, which had launched two years earlier. It featured a large video screen above the bar and a small back bar. And it usually was packed. But Revolver’s then owners encountered financial difficulties and went out of business in 2004. Trip Wilmot, a former Wall Street investment official, opened East/West bar in the space in 2005. An initial success, business slumped in 2011 because of the recession. Faced with landlord Golden West’s plan to almost double the monthly rent to $16,000, Wilmot closed East/West. 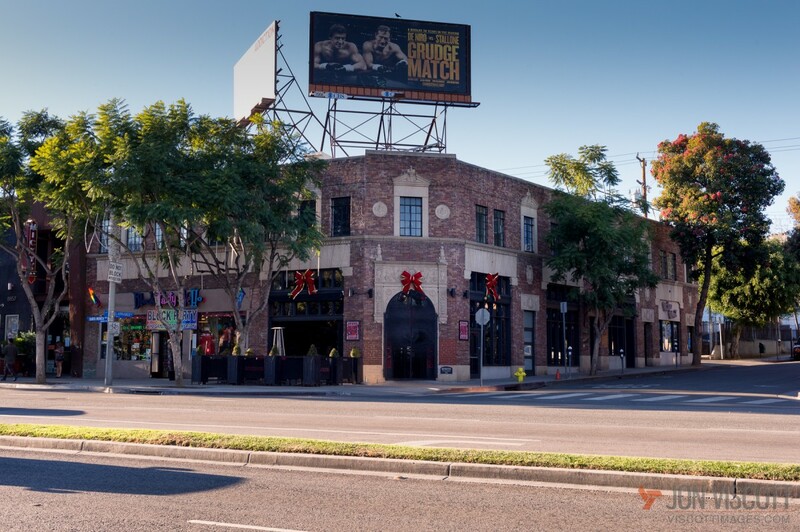 West Hollywood was left without an iconic video bar like Side Tracks in Chicago or The Midnight Sun in San Francisco. The current Revolver was opened in October 2011 by Miller and his then business partner, Alfredo Diaz. By all accounts it has been a success, with the size of the crowds one reason Miller said he feels the need to expand the space to accommodate the larger crowds. Our favorite place to shop and will gladly travel to wherever you go. I’ve known Larry for years and I’m proud to call him my friend. I hate to see Block Party close as I think it’s a very unique and fun place to shop. I wish Larry the best of luck wherever he reopens Block Party but he will be greatly missed at his present location. My sunday mornings often began with a walk from Sunset to Santa Monica to stop in at Block Party. I’m too old for the nightlife but and that was kind of my only stop – when friends come to town we went there. How many bars and pizza places do we need? Very often, when a busy bar or restaurant expands, it is is the kiss of death for that business. I don’t see the Revolver as needing more room, even when it is packed. Sounds like a really bad idea to me. @cr – business is great @ the block party shop – did you miss the point in the article about right of first refusal on a lease renewal? Or how many liquor permits are issued that are forcing these conversions. I’m working at the shop and we are busy as heck all the time. That storyline about the decline of retail is better used for another shop in another part of town. C.R., I partially agree with you, however, I don’t buy clothes online. I like to try them on. I don’t think I’m in a minority with that one. I know times are changing, but what’s really happening here is that part of Santa Monica Blvd. is no longer an affordable place to do business, unless you sell copious amounts of alcohol. It’s the lease costs that are putting these places out of business. There is still a market for people buying clothes in a store. And there is still a market for clothes that appeal to gay men. LASC, for example, is going nowhere. But they do an entirely different type of business. Anyways, a reimagining of Circus of Books might work. Partially, because that’s most likely a more affordable place to lease. I still miss Gay Mart. That was like a super sized version of Block Party. I still go to the one in Palm Springs, when I visit. So to sum things up, yet again, brick and mortar retail is becoming a thing of the past more and more EVERYWHERE, not just in WeHo and there’s nothing you can do to change that. Anything I could shop for at Block Party I could find online cheaper, that’s why I never bought anything there. The bars are the primary draw for that part of WeHo, and have been for a long time now. Complaining about this is ridiculous. If you don’t like it, move to another walkable neighborhood in L.A. County, there are numerous others that are nice AND more affordable in 2017! I look forward to what they will do with Revolver, AND I look forward to Larry Block realizing his vision for the Circus Of Books space. 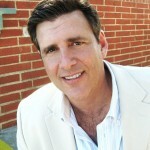 @ Shawn Thompson: Your argument doesn’t make a bit of sense. Why not celebrate Larry Block in the possibility that he may create a new neighborhood energy around Circus of Books, if that is his intention, or wherever he chooses to land. Please be openminded and flexible. You can’t keep beating the same horse to death. Its pretty sad to watch the destruction of downtown greater Weho.. How did this all happen so fast with all these bars clustered together and no room for anything else? Im 10 years sober and it seems like there is nothing left for me in this city. The only culture the city is promoting is drinking. If you all think that the bars are taking over Boystown and replacing retail……wait til the pot shop people get in the action. There will be nothing left except bars, pot shops. Total downer. Another historic WeHo institution gone. For what, a big tv and more drinking. I enjoyed the energy of the shop, friendly staff and always fair pricing. As a person born in West Hollywood it’s crazy to see what this city is becoming. I think the city council should all be replaced. All that shilling for the John’s that took the gay out of #weho in the last election, and Larry who in the past challenged those same faces in the places on city council (who ran a campaign twice of Block for the people) Gets kicked off the Block. Such is #weho pay for play. big donations is how you stay on the block or get to build big, or a new billboard. So sad to hear that Block Party is closing. I’ve been doing business with Larry for many years and it’s always been a pleasure to work with him. I’m hoping he can move into the Circus of Books space and keep doing his thing. West Hollywood needs to hold on to its heritage. It would be great if the spirit of Circus of Books could live on. Block Party became a fixture in West Hollywood. With the changing business structures in the apparel industry, Block Party was able to jump those hurdles. I’m glad it reached such a successful level. It’s inspiring. If Block Party did move to the Circus Of Books location, it will lighten up that part of Weho, and create a additional vibe that will enhance the area. The Gold Coast will have a new partner….Hmmm….instead of just a sale, maybe Block Party will now have “Happy Hour Prices” in their new location! Shawn – when you blame the “Johns” for Larry’s store’s demise, you conveniently leave out the fact that IIRC correctly Larry endorsed two of them the last election unless I am mistaken. Facts matter. It does not seem like there will be twice as many gay people on the street each night so the void will be filled with ‘all others’ form ‘all over’. It is not a neighborhood serving community anymore. Block Party gave the neighborhood much of charm and character. It feels like perhaps the owner of revolver has the cooleyitis that bigger and greedier is better for the community. I dont agree and will frequent motherlode as the true neighborhood bar. Oh what a pity! Block Party gives so much life to the area, Specially with its SO AFFORDABLE clothes. It will be interesting to see what Larry will do at the Circus Books location; it is still part of the community. Books, magazines, clothes and all the rest it seems a great combination, to keep the continuation of a landscape space from before into now. Thanks Larry for all your ideas. If it is not Larry Block, I am afraid more condos will come. Maybe for the owners is a good financial decision, but not for the community that in that side is starting to loose its special character. We are keeping our fingers crossed for Block Party to obtain the Circus of Books space. As a supplier to Block Party we have seen the demise of the Gay boutiques around the country go under due to the big box stores and online sales. It would be nice to see WeHo continue its status as a destination for the gay community. past seven years in WeHo and hope to see all replicated east of LaCienega. West Hollywood – the party city! But, unfortunately, not Larry Block’s party. We cannot let Larry be washed away on a tidal wave of booze. How many dispensers of liquor does the city require? Any answer from the Council? I live round the corner from Circus but wouldn’t be caught dead in that sleazebox, so I’d rather walk to boys town to shop at Block Party. It would be a great idea to re-locate to that space and re-invent it the way they brought Different Light back to life and made us forget how much our neighborhood was changing. As a person who has lived in WeHo for over 40 years, I’ve seen so many changes. But that part of Boystown used to have a variety of eateries and shops. Before we had to pay for parking on Sundays, it was a great place to shop, eat and drop in on some of the bars. But now, with hungry parking meters to feed and cars being towed out of the area, it has become very difficult to enjoy that part of town. Block Party being forced out to super-size Revolver is another step toward turning that part of WeHo into a haven for people who can’t hold their alcohol, throw up on our streets and get agitated and even violent. At least retail stores, like Block Party, of which 4 have closed in recent days, gave people something to occupy their time, space out their drinking and get great deals at the same time. Losing Block Party will mean losing a really unique outlet that kept that block from being 3 bars in a row and a few fast food places. How much will Revolver really benefit from this move? Is having more patio space for drunken people to scream at the top of their voices really worth losing a place that has become a WeHo tradition in itself. From what I’ve observed, Block Party was a destination in itself that people came to who didn’t frequent the bars around it. It sure seems like we are being forced out of a town we’ve lived in and loved for a very long time. Oh man I’m going to miss this place. But the new location at Circus of Books would be even better. We need Block Party, it’s a venerable WeHo institution and of much better report than the current Circus of Books. straight men use poppers also…albeit probably not as much. I think larry will find other opportunities. He has proven himself to have 9 lives. I love the idea of moving into Circus of Books and making it a coffee/bookstore idea with a few other items for sale. That would be a good move in my opinion. So sad to hear this news. I love Larry and his store. Fingers crossed for the Circus space! The neighborhood and city will miss this store! Fun, gay boutique stores like Block Party once very popular up through the 90’s are becoming a thing of the past. Good luck Larry! I love his Circus of Books vision and hope he would keep the Circus of Books name. Going to a coffee shop and being able to browse a bunch of gay books, clothes and gifts sounds like an enjoyable experience.